David S. Stallard is a Of Counsel with Wood, Herron & Evans, and is involved in all phases of the firm's intellectual property practice. His expertise is concentrated in the areas of mechanical and electro-mechanical subject matter, trademarks and client counseling. Admitted to the Kentucky bar in 1968 and the Ohio bar in 1970, David is also registered to practice before the U.S. Patent and Trademark Office. 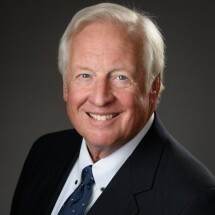 David joined Wood, Herron & Evans in 1970 and has been listed in the Intellectual Property section of The Best Lawyers in America® for over two decades. He is also co-author of the book What Every Engineer Should Know About Patents. He received a Bachelor of Science degree in Physics from Georgetown College in 1966. He then obtained a Juris Doctor degree from the University of Louisville Law School in 1968, where he was Justice of Phi Alpha Delta and served as Associate Editor of the Journal of Family Law. David is an active member of the American Intellectual Property Law Association, the Cincinnati Intellectual Property Lawyers Association, and the Ohio and Kentucky State Bar Associations. He served as Past Chair of the Intellectual Property Section of the Ohio State Bar Association and as Past President of the Cincinnati Intellectual Property Law Association. David resides in Edgewood, Kentucky with his wife Betty.